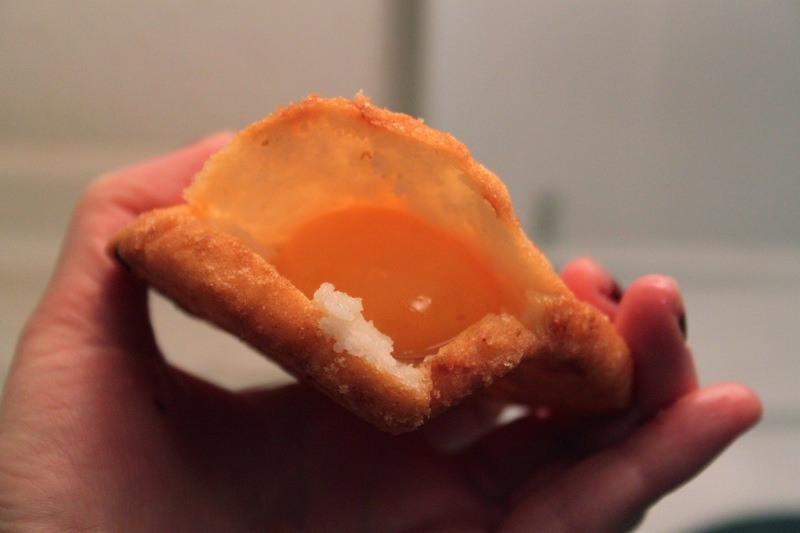 An Egg in the Hand (Post Script): Arepa e’ Huevo & Aji – Eat Me. Drink Me. Make your ají first, since you’ll a) want to let the flavors blend and b) want to eat the arepas hot. Finely slice onion, chiles, tomatoes, and avocado. Add chopped cilantro, salt, sugar, rice wine vinegar, and the juice of 1 lemon. Season with Tabasco depending on how spicy you like your ají. Mix well and set aside. To make your dough, knead P.A.N, water, salt, and cheese together with your hands until the dough is no longer lumpy. Rest the dough for 15 minutes. 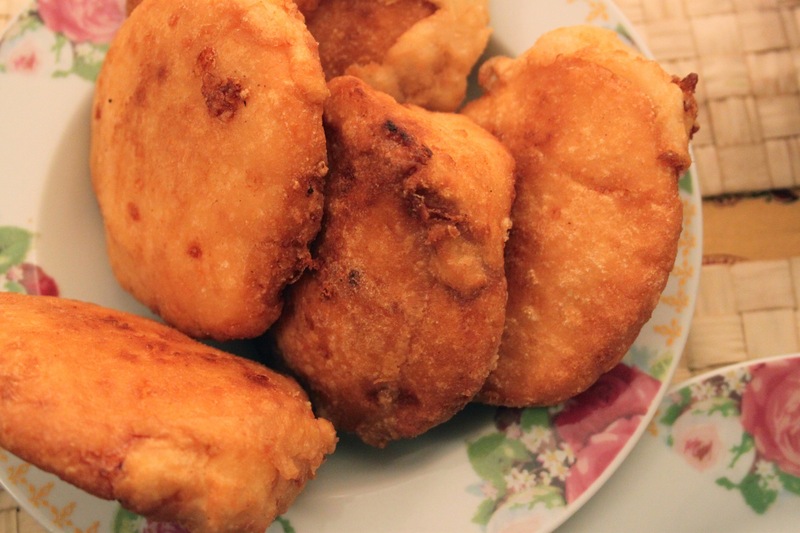 Divide dough into 9 equally-sized segments and roll them into balls. Flatten each ball between the palm of your hand to form a ½ inch-thick disc. 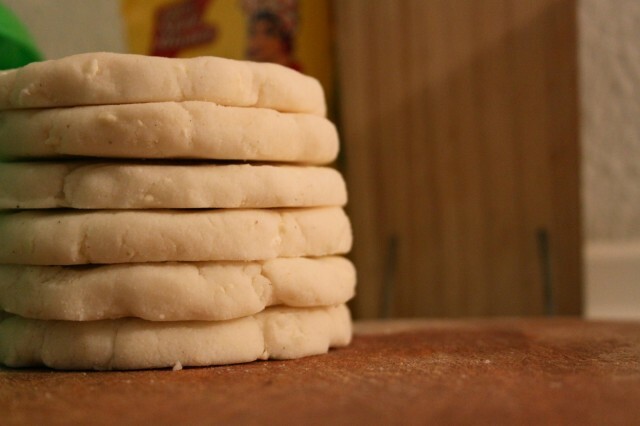 Make sure the edges are smooth – the dough tends to crack as you flatten it. Fill a frying pan with oil – about 1 inch deep – and heat to 350°F. The oil is hot when bubbles form around a wooden spoon inserted into the oil. 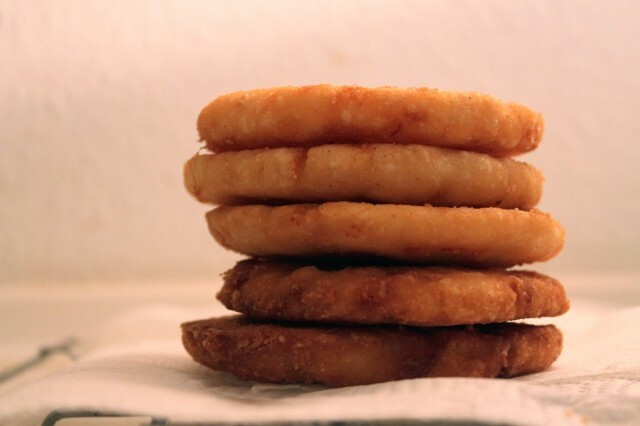 Add two arepas at a time (otherwise your oil will cool down too much and the arepas will become greasy) and fry for about 4 minutes per side, or until each side is golden brown and the arepa has slightly puffed up. Remove from the oil with a slotted spoon and set on a paper towel-covered rack. Repeat with the remaining arepas, making sure to reserve the 9th ball of dough for later. Replace any depleted oil and allow it to heat up. Crack an egg into an espresso cup and set aside. Take a small, sharp knife and cut a small slit (about 1 inch long) in the side of the arepa. Insert your finger into the slit and create a pocket inside the arepa. Holding the arepa with one hand so that the pocket remains slightly open, use the other hand to pour the cracked egg into the pocket. Take a bit of raw dough (from the 9th ball of dough) and press it carefully over the hole. Try not to break the yolk or leave gaps. 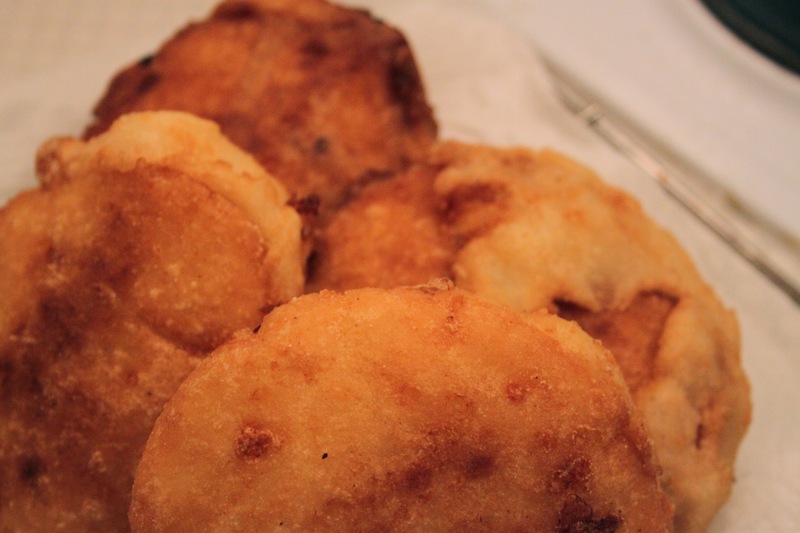 Place the arepas in the hot oil two at a time and fry about 4 minutes per side, making sure they don’t burn. Remove with a slotted spoon and set on a paper towel-covered rack. Repeat with remaining arepas. 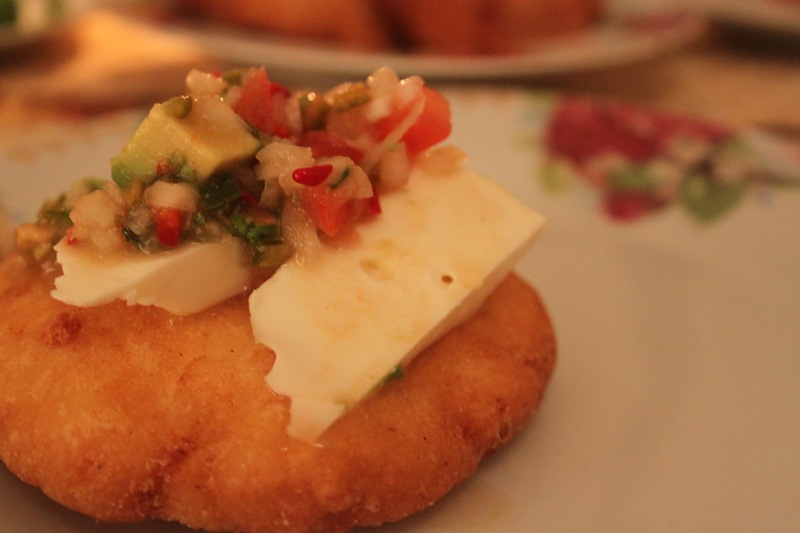 Serve hot arepas with ají and slices of avocado and farmer’s cheese. Makes 8 arepas. These look fantastic! You are going to make them for me!